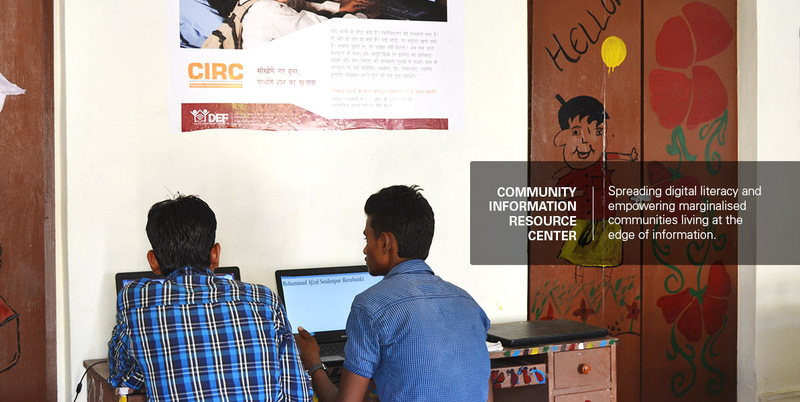 Community Information Resource Centres (CIRCs) provide DEF the basic backbone needed for rolling out all kinds of digital interventions for development. They are set up in rural and semi-urban areas of backward districts with computers, printers, scanners and all basic digital equipment together with Internet connectivity. All of them spread digital literacy and empower hitherto information-dark and marginalised communities to access all possible benefits of digital inclusion and access to the global information super highway. Starting from access to the encyclopaedic world of information and knowledge that the Internet represents about government schemes and the rights and entitlements of the citizens, online access to government services, opportunities for distance education, online skilling, telemedicine, e-ticketing, online entertainment, filling online forms, scanning, photocopying , personal communication through e-mails and social media, etc. 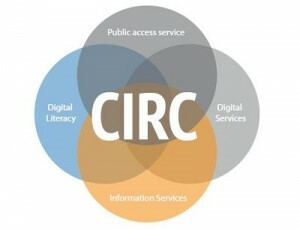 – the CIRCs provide a one-stop access and delivery point. One of the primary goals of DEF that flows from its Mission and Vision statements is providing access for all to the Internet. This goal is also fully aligned with global and ational mandates with regard to digital inclusion and bridging the digital divide. All projects in this programmatic area have the overarching goal of achieving access — for all — to information and knowledge from the Internet and creating the infrastructure needed to do so. In remote rural areas where mainstream ISPs fear to tread, we dare to reach the unreached by providing broadband Internet connectivity at a low cost using unlicensed spectrum and inexpensive wireless technology. For remote rural areas that do not get Internet connectivity from mainstream ISPs, this project helps CIRCs become Internet enabled through Wi-Fi using unlicensed spectrum and inexpensive wireless equipment. So far 12 CIRCs spread across 7 backward districts in 4 states have been Internet enabled using Wi-Fi connectivity and benefitting more than 120,000 people. 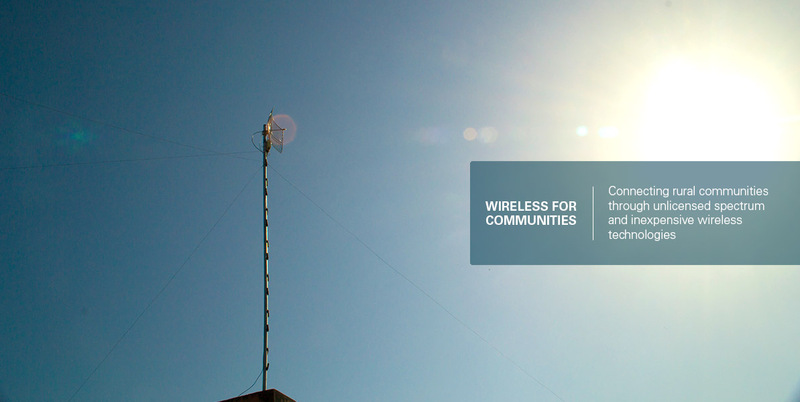 To help address the gap in the last mile Internet connectivity for underserved communities, Digital Empowerment Foundation and the Internet Society (ISOC) jointly launched the Wireless for Communities (W4C) initiative in October 2010. The project involves deploying line-of-sight wireless technology and low-cost Wi- Fi equipment which utilize the unlicensed 2.4 GHz and 5.8 GHz spectrum bands to create community-owned and operated wireless networks. So far, more than 10 locations have been made WiFi-enabled. DEF has also got new partners like Ford Foundation for this Programme. The programme has expanded greatly in the last 4-5 years. To further localize the initiative, the project strengthens grassroots expertise by training community members in basic wireless technology, enabling these 'barefoot engineers' not only to run and manage these networks but to pass on their skills to others. The Training of Trainers programme, which receives content development and technology support from DEF and ISOC as needed, has to date been conducted in 14 locations across India, Bhutan and Bangladesh, benefiting more than 100 wireless community enablers. Creating digital infrastructure with Internet access in areas predominantly inhabited by backward, tribal and minority communities to spread digital literacy and thereby spur integrated socio-economic development. This project is an initiative of the Ministry of Minority Affairs with DEF as the knowledge and implementation partner. As a pilot project to demonstrate how ending information poverty can actually empower people and entire communities to start coming out of socio-economic backwardness and economic poverty almost on their own, DEF took up Chandauli village, about 12 Kms from the city of Alwar in Rajasthan. In just one year since the launch of the project in February 2014, Chandauli village, which lies within the Mewat region infamous for crime, has undergone a revolutionary transformation to become India's first fully digitally literate village. Almost every household now has at least one digitally literate person, women traditionally kept at home and not even sent to schools are now an empowered lot and are now free to access education and information and are even encouraged to do so by their own hitherto conservative guardians, farmers use the Internet to learn about farming practices, youth find employment through access to information from the web, children have taken to the cyber age like fish take to water. This village unknown to the world even one year ago is now on the global map as it recently figured prominently in a Time magazine cover story thanks to the visit of Facebook founder Mark Zuckerberg to Chandauli in October 2014 during his maiden visit to India to see for himself the amazing transformatory power of Internet connectivity and digital literacy. Perhaps the best indicator of the transformation that has taken place is that despite the infamy that the Mewat community suffers, not a single piece of costly digital equipment, including wireless equipment deployed outdoors sans any lock and key, has been stolen from the CIRC that implements the programme in the village. The community itself guards the information resource centre as its most precious property. If information is wealth and empowerment, Chandauli is living proof! Keeping in view the low literacy level amongst the backward sections of the minorities, the Ministry of Minority Affairs, Government of India in partnership with the DEF launched the Minority Cyber Gram Yojana in February, 2014. Chandauli, a rural hamlet some 12 kms from Alwar by road and about 7 kms as the crow flies was selected for implementing a pilot project for one year as the village and surrounding areas had a high concentration of the minority community and also because the whole area had become notorious for high crime rates due to low literacy levels and the consequent lack of livelihoods. In just one year after DEF's intervention the whole situation has changed at Chandauli. Of the 3,500 households in the area, 2650 households now have at least one person digitally literate. Almost all the children of the village have taken to computers just as ducks take to water. Parents and guardians who would have never allowed their young female wards to go out of the house earlier except at most to go to school now allow them to frequent the CIRC set up by DEF at the solar enabled 2000 sq ft Rajiv Gandhi Gram Seva Kendra facility. Farmers are using the Internet to learn about best practices in farming of their chosen crops. Businessmen and traders are using the Internet to make good use of knowledge and information to expand and flourish. The Rajiv Gandhi Gram Seva Kendra had originally been established with more than 40 computers to enable the Gram Panchayat to become digitally empowered. But it never became functional as there was no Internet connectivity. None of the mainstream ISPs provide Internet connectivity at Chandauli. When DEF proposed they would connect Chanduali using wireless technology, the authorities were happy to hand over the Rajiv Gandhi Gram Seva Kendra to them to set up their CIRC. DEF already had a functioning CIRC at Alwar. Using the backend connectivity provided by BSNL at Alwar, DEF first converted its Alwar CIRC into a Wi-Fi enabled entity and then connected the Chandauli CIRC using wireless technology. Today Chandauli has become an astounding success story for DEF as it allows one and all to see how DEF's vision and mission can be realised in reality. 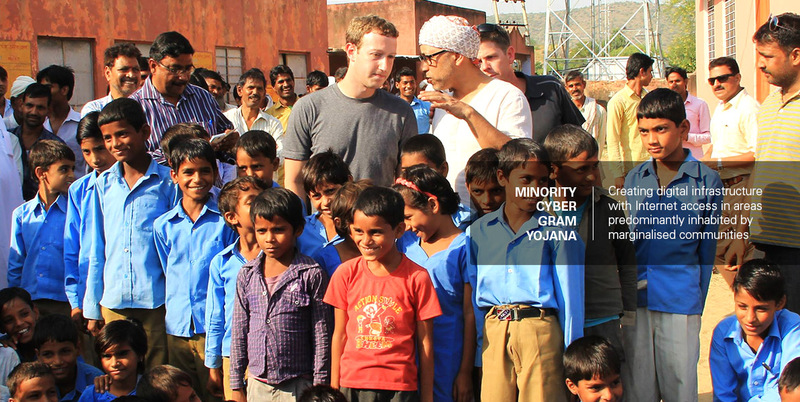 Even Facebook founder Mark Zuckerberg was left "amazed" when he visited Chandauli late in October, 2014. A few years ago, Digital Empowerment Foundation (DEF) and Commonwealth Educational Media Centre for Asia (CEMCA) partnered to facilitate the set-up of community radio stations, train them in content development and enable technology facilitation. Later, DEF and CEMCA, along with other partners such as the Ministry of Information & Broadcasting, set up a Community Radio Facilitation Centre to train people in setting up community radio stations and helping them in the process of applying for and obtaining community radio licenses from the government. Now DEF has switched to the next phase and is trying to help community radio stations in using digital technologies and digital media for maximum benefit. Through its work in the area of community radio stations, DEF stresses on the use of mobile phones, SMS, Internet and WhatsApp as tools to enhance the effectiveness of community radio stations. This foundation also helps community radio stations to understand the advantages of using new media and social media platforms like Facebook, YouTube, Twitter, Podcast, e-Radio and e-Books, among others. In fact, DEF’s was the first collaboration with the Ministry of Information and Broadcasting in India to train community radio stations across India in using digital tools, building an exclusive website for their radio station and integrating social media platforms for community radio stations. This enabled the broadcasters to re-share their programmes in the form of text, audio and videos to reach for further outreach. 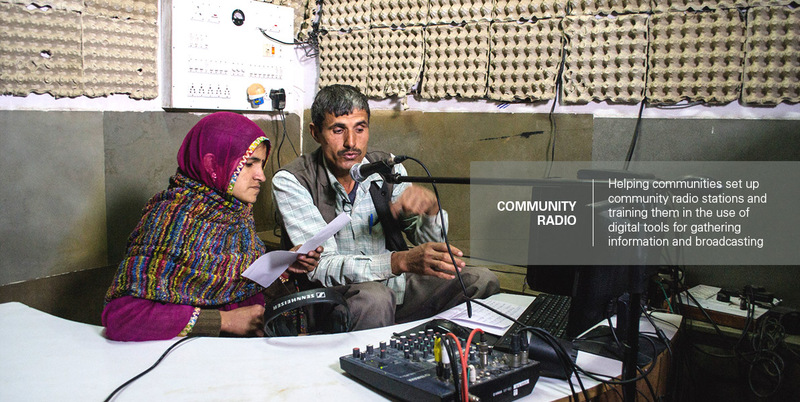 Over the years, DEF has trained 1,250 people from 50 community radio stations across India in using digital tools for outreach and content curation; created websites for 10 NGO-based community radio stations; and funded five other stations. In 2009, DEF assisted Barefoot College in Tilonia, Rajasthan, in setting up a community radio station. From procuring a license to setting up the infrastructure and training the broadcasters, DEF played a crucial role in all of it. Today, Radio Tilonia reached out to 40,000 – 60,000 people every day, and DEF is continuously involved in providing technical and advisory support to it. Radio Jagriti in Birni village of district Giridih in Jharkhand and Radio Bulbul in Bhadrak district of Odisha are two other community radio stations for which DEF provides financial, technical, strategic and content support. Henvalvani Community Radio in Chamba region of Uttarakhand is also a partner for DEF’s Soochna Seva programme in the state. Over the years, DEF has also recognised the efforts of at least 25 community radio stations by awarding them with Manthan Awards under the category of Community Radio which was introduced in 2007.